Theres nothing cut ,and its the correct stand etc (Its not a LOW model and the stand etc is so far as I can see correct). 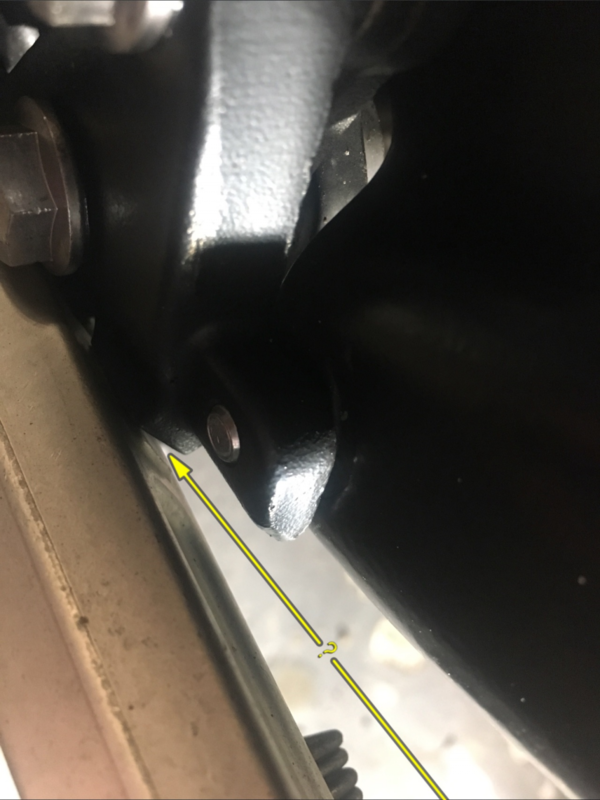 Anybody with an XCX able to check if their stand rests squarely against the black stop when raised ,rather than only touch on one side like mine seems to be doing? I thought I could fix it by doing something similar to what you say alright. I think though if someone can just confirm their stand meets the stop dead square and hits even on all sides, I will know that the mount is slightly bent and I will try a new one. Have you checked it hasn't been raised by fitting shorter dog bones? I must look into that theory ,cheers. However I still think at the moment (because the stand and stop don't seem to meet squarely/properly) that the mount is bent. 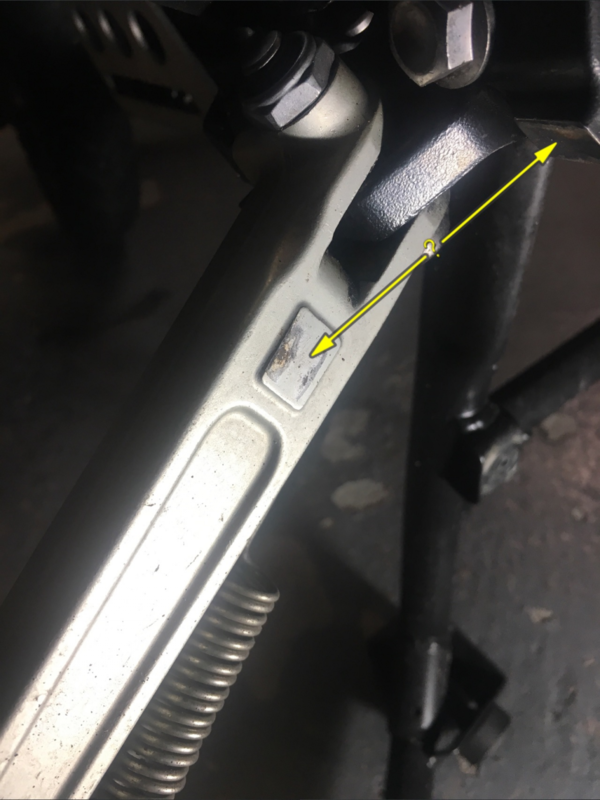 The sidestand mounting plate (T2085899)that bolts to the frame was bent......nothing the naked eye could see but it was bent. The silver rectangle on the stand and the rectangular stop on the mount now touch squarely/100% when the stand is in the raised position. Funny, most complaints on the forum is that the bike sits too upright on the side stand. To be honest ,now that its fixed I did think to myself "That's sits a bit too straight for my liking"..........but for fear of being considered I decided to keep my mouth shut .